Now is the time to invest in your sustainable future! Beginning today we will start our 30 day countdown to ringing in the spring career fairs! Check our Facebook page or blog daily for successful ways to make the most of your career fair experience! So, what are your plans for this short week away from school? Are you going to be sunning and sailing, reading a book on a beach somewhere? Or do you have a trip planned to Vegas or LA or NYC for some fun? Or will you be working at your job and preparing for next term? Maybe you’re going to keep it low key by spending your days relaxing at home. Well, some OSU students are going to have a pretty incredible experience this coming week doing an alternative to all of that: Alternative Spring Break. Instead of spending the week with the usual spring break activities, three teams of 12 to 20 OSU students are going to spend their spring breaks serving others in several Pacific Northwest communities. The participants on the first trip go to Yakima, Washington to learn about the city and the local Native American Reservation, Yakama Nation, and help nonprofit organizations there serve residents. The participants in the second alternative spring break experience this year are headed to San Francisco to work with the local homeless population. Finally, the students on third trip are staying close to home to restore vital ecosystems near Newport, Oregon. The trips cost $120 to $350 for a week of lodging and most meals as well as all programming and transportation, pretty minimal. Why would someone devote their spring break to learning about Native American culture in Washington, helping the homeless in California, or cleaning up the beaches in Oregon, you may ask? 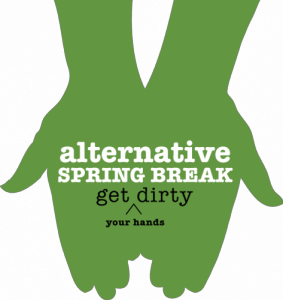 Well, for one thing, Alternative Spring Break is a great way to engage in a meaningful service experience while having fun and traveling. It’s a way to make a difference. Participants will challenge themselves and form lasting friendships. And as a bonus beyond the inherent value of the experience, Alternative Spring Break is a way to gain leadership experience that can go straight on to a resume in a compressed amount of time. In a week, with some preparation before and debrief time after, students will gain knowledge, insight, and leadership skills that an employer would be excited to hear about in an interview. So, next year, ask your advisor about going on an Alternative Spring Break trip or apply directly through the Center for Civic Engagement, http://oregonstate.edu/cce/alternativebreaks. You’ll get more out of the experience than you ever thought possible. Posted in Career Exploration, Career Services, Events, Internships and Experience. 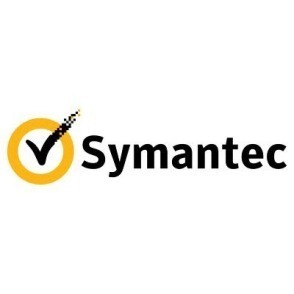 Company Overview-Symantec is a global leader in providing security, storage and systems management solutions to help our customers – from consumers and small businesses to the largest global organizations – secure and manage their information-driven world against more risks at more points, more completely and efficiently. Our software and services protect completely, in ways that can be easily managed and with controls that can be enforced automatically – enabling confidence wherever information is used or stored. A QA engineering intern will learn how to apply sound engineering, business requirements and design concepts to software/tool development/implementation. Duties will include converting business rules into testable scripts, writing test tools, testing code, debugging failures, documenting QA methods, researching security issues, reviewing code and design. Adept in Win32 programming in C++, knowledge of Microsoft operating systems, understanding of TCP/IP networking, passion for learning and writing programs. Proficiency with excel is a plus. Open mind to changing business requirements and adapting testing strategies to suit the same is a must. What do you do? My responsibilities include assisting customers, primarily INTO OSU international students who are taking language courses in the ILLC. I answer phone calls and questions, greet customers, and update our Facebook page. How did you hear about your present job? I once served as a volunteer with the ILLC. What did you gain personally and professionally from this experience? The importance of delivering good customer service. How does this job relate to your career goals and plans? My dream job is to work in hospitality management, which requires good communication and customer service skills. What skills did you develop or learn? I learned more about myself through my interactions with other students. 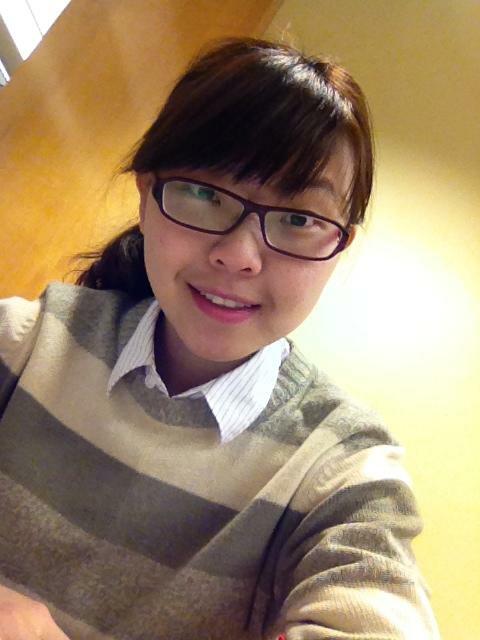 I enhanced my English language skills and developed stronger communication and interpersonal skills. How did your education/experiences help to prepare you for this type of job? I am currently working on my MBA and am able to apply concepts learned from my courses. Also, my previous experience and exposure working for the center was valuable. What information can you share with your peers or others interested in finding a job or career? Volunteering is a good way to find a job opportunity. I received this job after volunteering in the ILLC. Grasp every opportunity no matter if it’s paid or unpaid. Every effort pays back! Have you ever wondered if there was a course you could take that was tailored specifically to students needing help with choosing their major, or even better yet, what to do with their major? Well if you have, you’re in luck here at Oregon State University. Career Decision Making is the name of the course recommended to first and second year students who don’t know what it is they want to do yet. It’s not just a class we offer here at Oregon State, but a process to help guide you in making probably one of the biggest and most important decisions of your life, choosing a major and a career path. The course is designed to help students gain a better understanding of their interests, values, and abilities as they relate to the world of work. The class is taught by the UESP (University of Exploratory Studies Program) advisors. It provides freshman and sophomores here with a guided career exploration in a classroom environment. Class meetings are held two times per week, one of those times being with a large group of students for a lecture and the other day they meet with a smaller group, usually around fifteen students, for recitation. Of course everyone wants to have their dream career after finishing college, but it’s not a reality for most people. Students who are uncertain about their career or major could benefit from taking our Career Decision Making course. The purpose is to help students explore their options in a supportive environment without embarking on an unknown journey all alone. During the first four weeks of class, students learn about self assessment through a decision making model. Self-assessment includes taking assessments like the Strong Interest Inventory© and the Myers-Briggs Type Indicator© to help clarify personal interests and preferences. Weeks five through eight, students are involved in the exploration of academic and career options. Then, weeks nine and ten, students finally take action and make decisions! The course also offers beneficial information about OSU’s on campus resources to help guide students in their career decision making process once the course has ended. One of the main on campus resources stressed to students during the course is Career Services. Career Services offers career counseling which helps students continue their exploration process, they also provide mock interviews, Career Fairs in the Fall, Winter, and Spring terms, resume, cover letter, reference page, and curriculum vitae help and much more! I have interviewed one of our very own Career Assistants from Career Services here at Oregon State University, Samantha Kerzel, about her experiences with this course. “Before this class I was a UESP (University Exploratory Studies Program) student, taking lots of BAC classes to help with my search. However, without the resources we utilized, I would not have declared a major in English the following term, and would not know that I want/need to attend graduate school.” Sami also states that the course recommended she stop in to Career Services to get help from a career counselor with the brainstorming process of a future career. “I would definitely recommend this course to students who are either undecided, or trying to figure out if their major is right for them, because it really makes you reflect and decide on career that is a good fit. I would not, however recommend this class to someone who is not going to take it seriously, and who is expecting someone to tell them what job to do.” I hope Sami’s success story with this course and the information provided on it will help you students out there struggling with declaring a major to find one that fits best for you. Good luck! Posted in Career Exploration, Majors. The Deployment team acts as the internal liaison for the client’s needs within the Atlas Development and Deployment process. The team is responsible for the initial analysis of client data and recommendation of suitable site requirements. The team member will filter a high level of client data as it is received and process this information in a timely manner for production. While they will be directly responsible for the data loaded into each client site, they will work with the broader Deployment Team members to identify the best possible approach to project completion. Additional projects will be assigned based on the candidate’s skills and interests. On any given day, the intern will transition between such varied tasks as customizing Atlas Systems with client curriculum to assisting a client training session in the Education Centre. Confessions of a Career Changer: Teacher, Teacher! It's me on a good teaching day! Can you believe it is week ten? This term has flown by for me; I wonder if it has for you too. Terms didn’t fly by like this in my previous graduate degree. We were on semesters! Sixteen weeks to delve deep into subject matter or get tired of subject matter that no longer interested you. In my last Career Changer post, I started my graduate program at Colorado State University in Creative Writing. My first year, I spent tutoring in a writing center, but I really wanted to get a teaching assistantship, so that I could teach and try out my chosen career path. So, I worked really hard my first year and applied for my second year. And I got one! 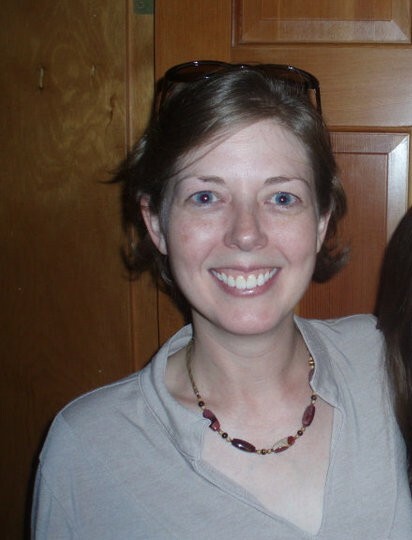 A graduate teaching assistantship meant that I would teach one or two sections of college composition (similar to OSU’s Writing 121 Course) each term, and I would receive a tuition remission and a monthly stipend. At the beginning of my second year, I went through an intense training course for two weeks to prepare for my first class. We were given a syllabus, readings, and lesson plans to follow. We gave practice lessons to each other and wrote personal teaching philosophies. This experience, I decided, was going to be great fun. And it was fun. Looking back on my first semester teaching college composition, I truly enjoyed the interaction I got to have with my students, learning their stories, and working with them on their writing. Each day I was teaching, I geared up to seem confident and act like I knew what I was talking about. That is the crazy thing: a lot of the information I was teaching to my students was information I was learning along with them. Not to say that I wasn’t a good writer, I was. But I hadn’t learned the rhetorical strategies, the structures, the genres, the ways to learn how to write. I just knew writing was something I was good at, but I didn’t always know the best way to teach it to others. This fact became especially difficult in dealing with one particular student in my first semester. I had one older than average student in my class. He was in his mid-50s, and for most of his life, he ran a successful photography shop. He could see the direction that the industry was moving, however, with more digital and online media, so he retired and closed the store. Now, he wanted to begin again in a new career. But sometimes it was difficult for him to take direction from a teacher more than 30 years younger than he, and sometimes it was difficult for me to have the confidence to teach someone with so much more life experience than me. It was also tricky for him to have patience with some of the traditionally aged students in the class, who sometimes came to class late or fell asleep in the back row or didn’t turn their work in on time or didn’t come prepared for a peer review day. I learned a lot from this student, and this learning is why I most enjoy teaching and working with college students. I end up learning more than I end up teaching, about myself and about other people. Happy Week 10, Everyone! I’ll be back in the spring term with more episodes about my wavy career path. Have a great finals week and spring break! Posted in Career Changer, Graduate and Professional School, Workplace Success. Creating a resume is tricky, and deciding what to put on one, how to talk about past experiences, and getting it all to fit on a page is an art we will forever be attempting to master. But often the most difficult part of our job, at Career Services, and as students, is trying to create a solid resume out of experiences that we simply have not had. Many of us were involved in high school and had the occasional house sitting type jobs, but now that we are past our freshman year and can no longer include this information on a resume, we feel as though we are left with nothing. It is absolutely important to enjoy yourself in college, and to focus first and foremost on your studies, but it isn’t enough to be just a good student anymore. We need to build a collection of experiences that can strengthen our resumes and give us valuable examples of how we apply the things we learn in class. Thankfully, Oregon State University is equipped with an overwhelming number of opportunities, big and small, for us to get involved and add to our experience list. But where can we find these opportunities? Below is the start of a basic list, and following are tips to search for more on your own! Academic clubs in your major can be found on your college’s webpage. There are usually brochures lying around in the main offices, as well. OSU has a long list of clubs and organizations around campus. ASOSU (Associated Students of Oregon State University) is the student government. They have many positions available to students among the various branches, as well as task forces and committees for students looking for a smaller role. You can also get involved with the Center for Civic Engagement. MUPC (Memorial Union Program Council) provides many opportunities for leadership and involvement through event planning and activities. You can keep an eye out for conferences, festivals, and other events occurring around campus. Attending a leadership conference, for example, is totally something you can put on a resume. There are six cultural centers on campus: The Asian & Pacific Cultural Center, The Lonnie B. Harris Black Cultural Center, El Centro Cultural César Chávez, The Native American Longhouse, The Pride Center, and The Women’s Center. There are numerous ways to get involved at each of these centers, so go check them out! Student Media runs the Barometer, KBVR –FM and TV, Prism, and Yearbook. They have job openings and volunteer opportunities calling for a wide array of expertise. The Greek system is a great way to get involved. There are 21 fraternities and 19 sororities, both social and academic based. These are organized through the IFC and Panhellenic and recruitment, although mainly done in the fall, goes on all year. The Student Sustainability Center is the hub of all things environmentally conscious and green on campus! Involvement in organizations such as this looks great on resumes. They offer jobs, internships, and volunteer opportunities and activities. Interested in unique volunteer opportunities around campus and Corvallis that require little long-term commitment and fit well into any schedule? Get on the mailing list for the Community Service Center, and be notified about volunteer opportunities. The Disability Access Services office offers opportunities for involvement both paid and unpaid including note taking and mentoring. A fun way to build a resume and learn about teamwork and strategic planning is through the various intramural sports offered each term, and for a more competitive environment, there are numerous sports clubs that compete against clubs from other schools. Get a job or internship. If you are sick of your summer job, want to earn some extra money, or try out a career path, then look on Beaver Job Net, and see what opportunities are available! Do not forget to utilize your professors as a resource. They will have tons of ideas for ways to get involved, as well as be in the know for opportunities coming up. Many professors look for students to help with tutoring and many recruit their own teaching assistants. Some things to remember: coursework and group work are valuable learning opportunities. You can talk about these things on a resume. Work experiences DO NOT need to be paid. Many students think that if it’s not an official job it doesn’t count, but just about any experience does. If you need help brainstorming or professionally organizing your ideas to polish off that resume, do not forget about Career Services. We are here to help! Posted in Internships and Experience, Resumes. Individuals from a variety of backgrounds including those with prior financial services or sales experience, military veterans and people of influence in the community have found new success at Edward Jones. By becoming an Edward Jones Financial Advisor, you can run your business, determine your compensation, and redefine your future. We take a personal approach to business that starts with a face-to-face meeting between a Financial Advisor and an individual investor. As we continue to grow in the United States, we are looking for individuals who have the capability of autonomously building a business in their local community. What leads to success as a Financial Advisor? When starting out, our Financial Advisors spend most of their time in the communities they serve, making face-to-face contacts in neighborhoods and with businesses, introducing themselves and Edward Jones. They spend time getting to know their clients, their investment needs and their objectives. Then they deliver the appropriate investments and services on an individual and personal basis. Individuals who possess a strong work ethic, demonstrate a track record of professional success and are proven leaders perform well at Edward Jones. We frequently find that those with solid inter-personal skills thrive because they understand the commitment and relationship building skills that are crucial to establishing long-term clients. This is a unique and exciting opportunity for the right type of person. The financial gains can be great — but it takes a dedicated individual to capitalize on the potential. Visit our website today to read success stories of current Financial Advisors and submit your profile. 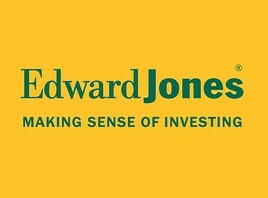 Edward Jones is an equal opportunity, committed to developing an inclusive culture. We believe that diverse ideas, opinions and perspectives are good for building business. You’ve been offered a job that sounds fantastic – it pays a very good salary and the workplace has a great atmosphere. You’re eager to take it, but wait: thoroughly evaluate the benefits package before you accept the job. 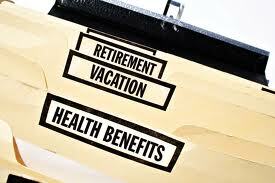 According to the Bureau of Labor Statistics (BLS), in 2010, the average employee benefits package comprised 30 percent of the total compensation package, and the average value of benefits was $8.11 per hour. You can try to calculate the value of the benefits on your own, but some experts believe the best way to put a dollar value on benefits is asking the prospective employer to do it for you. Let’s say Job B pays $2,000 more per year than Job A. You take job B because of this, but maybe you don’t realize that Job A covers 100 percent of the health insurance premium and Job B pays 75 percent of it. With Job B, $200 per month is deducted from your paycheck to cover health premiums and there’s a $500 deductible you’ll pay before the insurance covers the rest of the cost. You’ll pay a total insurance premium of $2,400 per year and you may have to pay a $500 deductible if you need healthcare services during the year. Although Job A pays less in terms of salary, it may be a better financial choice just based on healthcare benefits. And then there are also the retirement account and other benefits to consider. With a 401(k) plan your contributions are tax-deferred (except for social security taxes). Most employers match between 50 cents and 1 dollar for every dollar you contribute for up to 3 to 6 percent of your salary. For example, if you make $40,000 per year and you contribute $200 per month and your employer match is 75 percent for up to 6 percent of your salary, your employer is putting in another $150 per month, which works out to be $1,800 per year. Not taking advantage of an available 401(k) plan at work is like simply rejecting free money. With a 401(k) plan you accept responsibility for the investment risks and potential losses due to fluctuations in the market. Typically, jobs which don’t offer a retirement plan are not worth considering unless the salary is high enough to allow you to easily contribute to your own retirement account. Some experts believe a defined benefits plan is better than a 401(k) plan because the defined benefits plan is not affected by market performance. Instead, the employer has all the investment risks and unless the company files for bankruptcy and can’t fund the benefit plan, your pension is guaranteed. 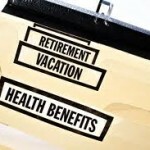 Due to the costs and risks, fewer employers are providing defined benefits plans these days. If a defined benefits plan is available, find out how long it takes to become vested. After you become vested you have a non-forfeitable right to benefits funded by the employer even if you leave your job and work for another employer. Some people believe a defined benefits plan is risky because the employer may not be able to fund the pension plan. However, these plans are typically protected by the Pension Benefit Guaranty Corporation, an independent agency of the United States government. If the company goes bankrupt, your benefits may be reduced, but you are guaranteed to receive a minimum percentage of your promised benefits. A Flexible Spending Account (FSA) is a pre-tax benefit account used to help offset the costs of healthcare and dependent care for you and your family. Money deducted from your pay and going into an FSA is not subject to payroll taxes. However, there’s a significant disadvantage of an FSA – the funds not used by the end of the year are lost to you. After you graduate from college, benefits, such as a retirement account and health insurance, may not grab your interest. You may think benefits are the concern of older workers, but there are a lot of older workers who wish they paid more attention to benefits when they began their careers. Besides, asking questions about the benefits package makes you look smart to the person offering the job! Brian Jenkins writes about many different college and career topics for BrainTrack.com. He has contributed content to BrainTrack’s career planning guide. Posted in Finances, Job Search Strategies, On-the-Job Tips, Post-Grad Plans.